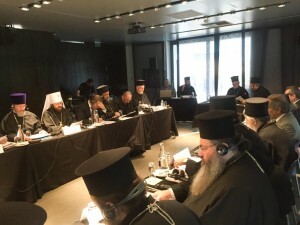 Without unanimity ended the Special Inter-Orthodox Committee session on the preparation of the Great Pan-Orthodox Synod of the Church, held these days in central Athens hotel. Information Romfea.gr said the Thursday session December 17 there were tensions and obstacles, made the occasion not solve several issues concerning the preparation of the draft Rules of organization and operation of the Holy and Great Council. According to participants, Dealers Orthodox Churches have expressed disagreements that threatened to blow up, the necessary unanimity considered sine qua non condition for the smooth functioning of the Great Council. Among the dissenters was and the Delegation of the Patriarchate of Antioch, which among other things said that if during the Great Synod leave a church and not sign the Synod to dissolve and is void for lack of consensus. 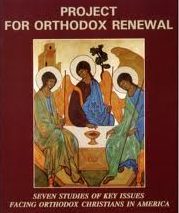 Please note that representatives of the Ecumenical Patriarchate and other churches delegations, paid superhuman efforts to reconcile the opposing points of view and find the common ground that will make after so many decades of efforts the Holy and Great Synod reality. However today, Friday, December 18 is expected the joint communiqué of the Special Committee, which will be signed by all the delegations. Bottom line is that there really is NO need for “Bart’s Great & Holy Council.” There is no dogmatic decisions to make regarding Orthodox theology. So, why does Istanbul see this council as SO IMPORTANT? Istanbul wants to make the Diptychs as the prime structure for church organization around the world. This is totally non-canonical. The Diptychs were NEVER meant for any form of Church Organization. What Istanbul wants is that its bishops be recognized EVERYWHERE as “1st amoung equals” and that nothing can be done in any church in any country without Istanbul’s approval. This is BALONEY! Bart’s council is nothing more than a Greek power grab and it should fail. In any given Synod, the First Diocese is the one holding Jurisdiction over un-Bishoped territories. 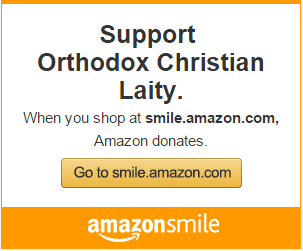 Extra-Canonical territories are indeed the Jurisdiction of the Ecumenical Patriarchate on behalf of the Whole Church. The purpose is to beget new Autocephalous Churches., not to rule colonies. Well 1st I would like to say: I understood nothing from this post that looks as if was translated by google! No mention of the points tht we are disagreeing on! Can we have good news?? ?